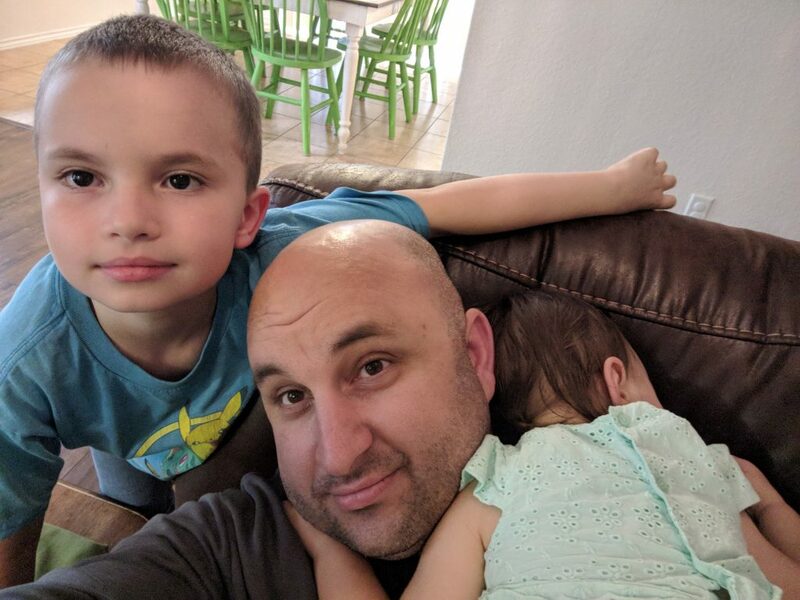 Weekly Happenings: Sunday was Father’s Day. I got up a bit early and made Paul breakfast. 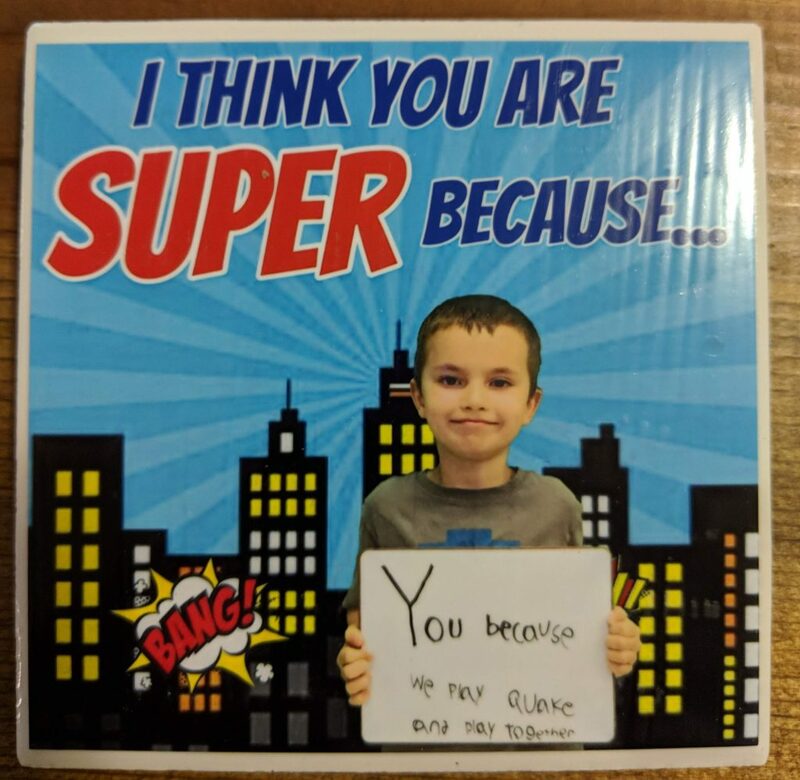 Joseph made him a card and also gave him the present he made while in school (way to think ahead, kinder teachers!). His big gift was one of those laptops that completely flips around to become a tablet. 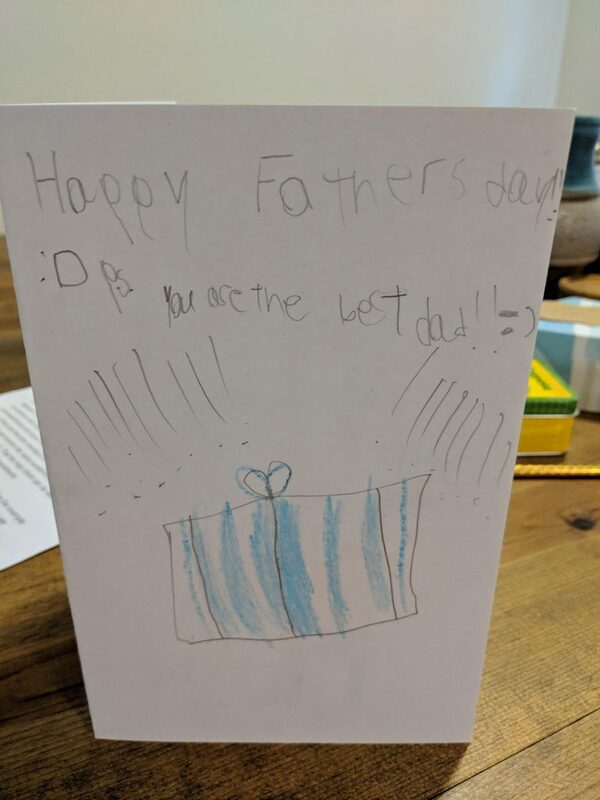 We sure love the daddy in our home! Monday, for a fun family night, we took the kids to La Cantera (the outdoor mall close to home) to have a treat and play at the playground. Much fun was had by all. On Wednesday, the missionaries from our ward came to visit us (and to practice teaching). It was a pretty fun visit. The rest of the week was a chill-at-home type of a week, which we really do love. The Weekly Weather: Hot, humid…pretty much copy-and-paste from last week, haha. What Paul’s Been Up To: He’s been pretty busy with school. He had a lot of programming projects as well as a couple of papers to complete. He’s just got a month left, so we’re cheering him on to the finish line! What Sarah’s Been Up To: I hosted book club, which was a lot of fun. I love getting to have some grown-up time that contains intellectual conversation. Other than that, it was pretty much the regular weekly stuff. 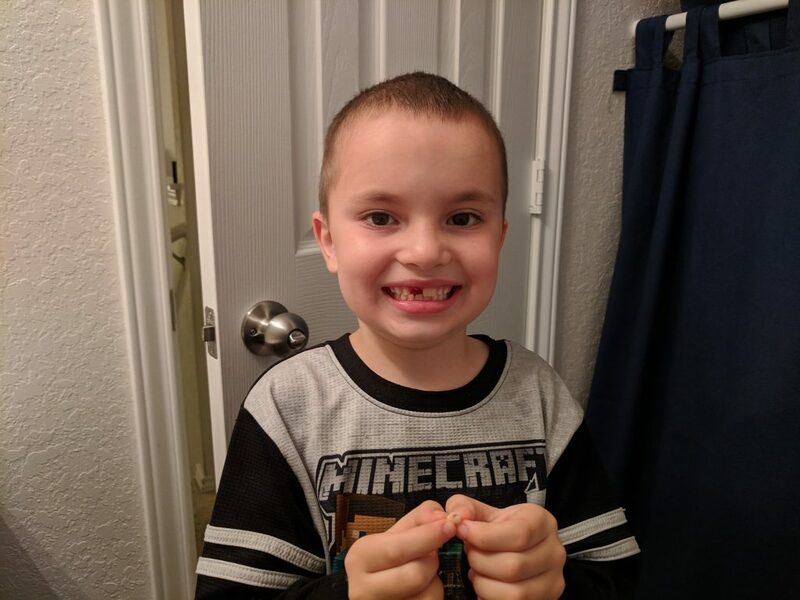 What Joseph’s Been Up To: The big news for him this week is that he lost another tooth! This one, we encouraged him to pull out since it was literally hanging by a thread (he could even twist it 360 degrees) and I was rather concerned he would swallow it while sleeping. He was excited to find that the tooth fairy left him four shiny quarters (two extra for being brave enough to pull the tooth out himself). 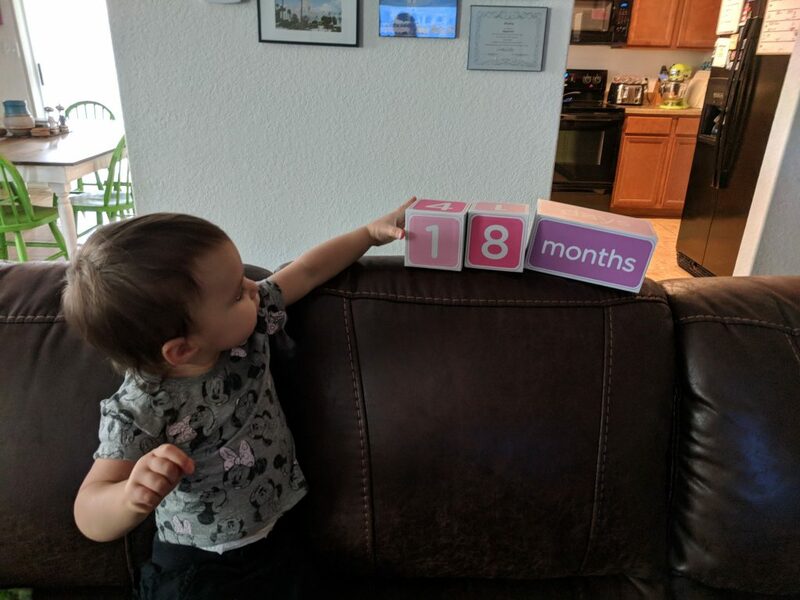 What Abigail’s Been Up To: She had her 18 month check up. She is 23 pounds, 7 ounces and is 31 and 3/4 inches tall. 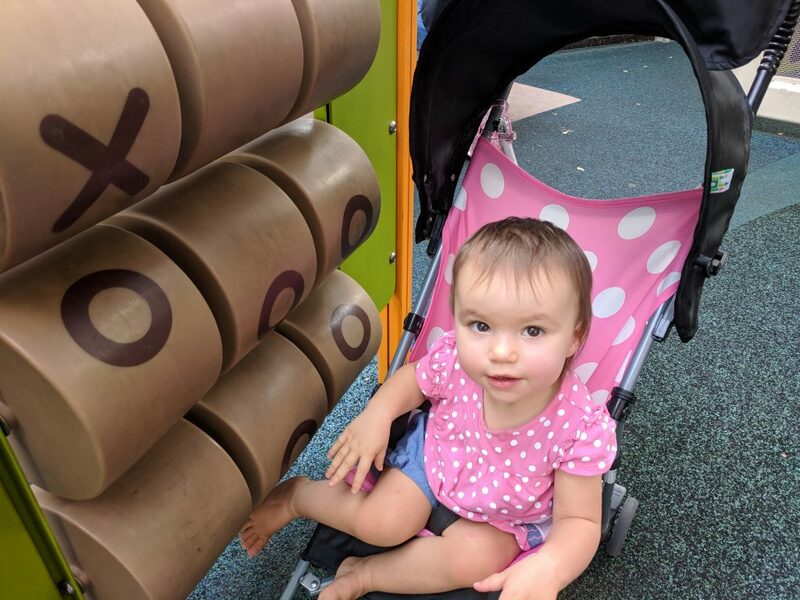 She loves to dance, bounce, take baths, loves to play with her brother, enjoys stacking Mega Bloks (and any blocks, really), loves to give hugs and high fives, blows kisses, waves, and is interested in anything anyone else is doing without her. 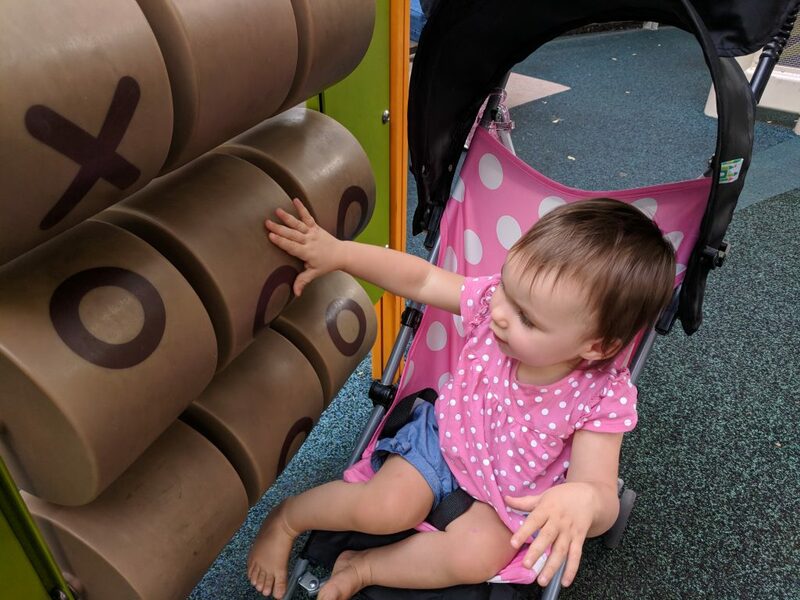 She can say: dadeee, mama, Bubba (brother), bah (bath), car, cra-cra (cracker), tayoo (thank you), “Gickey” (Mickey Mouse), wuz-at (“what’s that?” while pointing to something), and something that sounds a lot like “see you”. Oh, and did I mention she finally decided to leave the safety of the furniture and walk independently?! She’s practiced a lot walking very short distances, but never more than 2-3 steps on her own. The other night I looked up from what I was doing to see her just get up and walk across the room to get to something she wanted. She still crawls a lot (or “walks”on her knees), but she definitely is incorporating more walking into the equation. 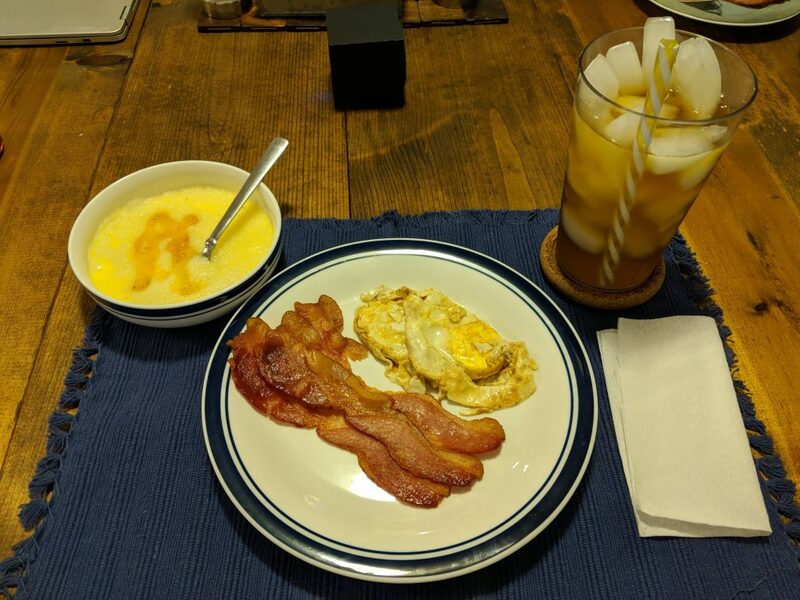 Paul’s Father’s Day breakfast: fried eggs, bacon, grits, and iced peppermint tea. Joseph’s fun present for Paul. 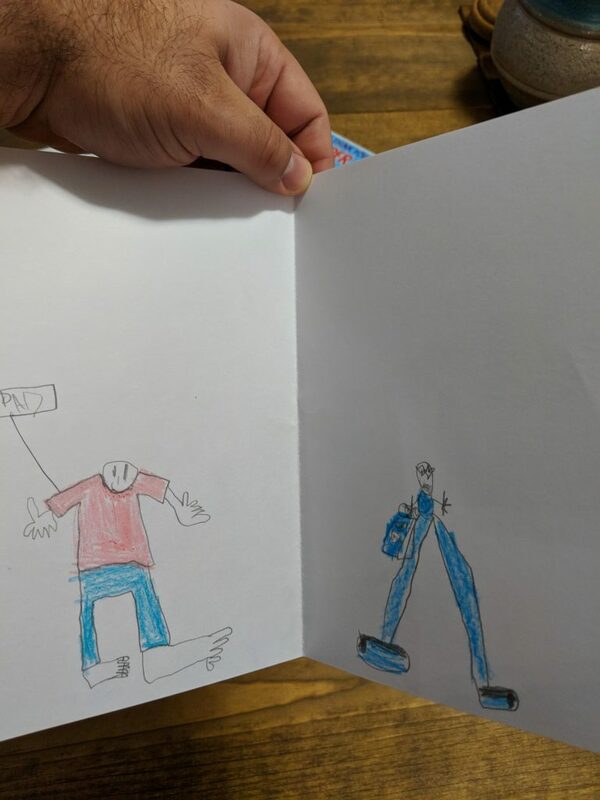 The front of the card Joseph made Paul. 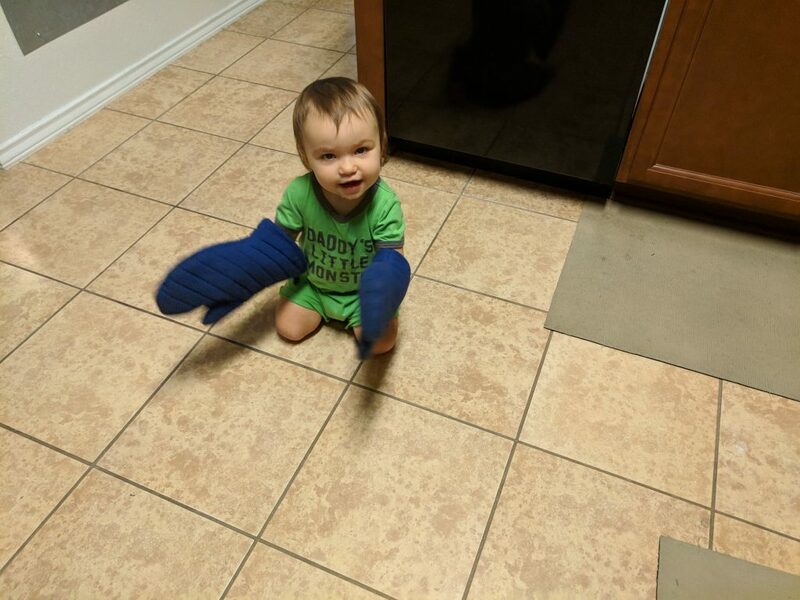 She wanted to wear the oven mitts. She liked clapping with them on. 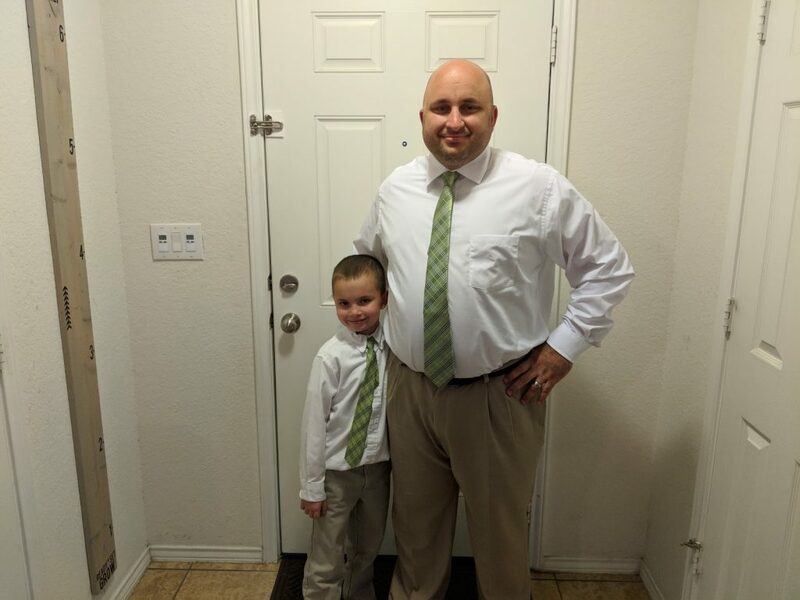 All matchy-matchy for church (Joseph was super excited when he realized Paul had bought a matching tie). 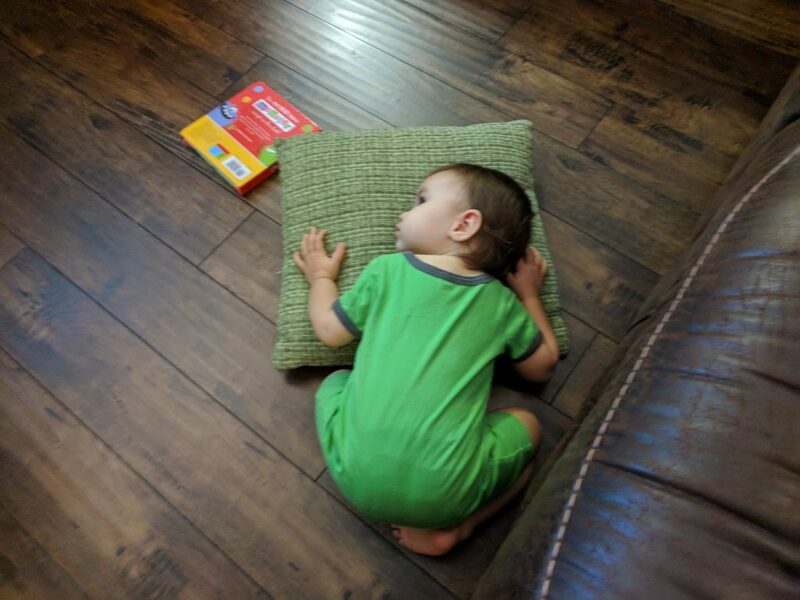 No nap because of church means that you fall asleep in your car seat the split second the car starts, don’t even wake up when Momma takes you out, and also don’t wake up when Momma hands you over to Daddy. Sunday evening, right after dinner. She reached up, grabbed a pillow off the couch and then proceeded to do this. Paul took this picture. 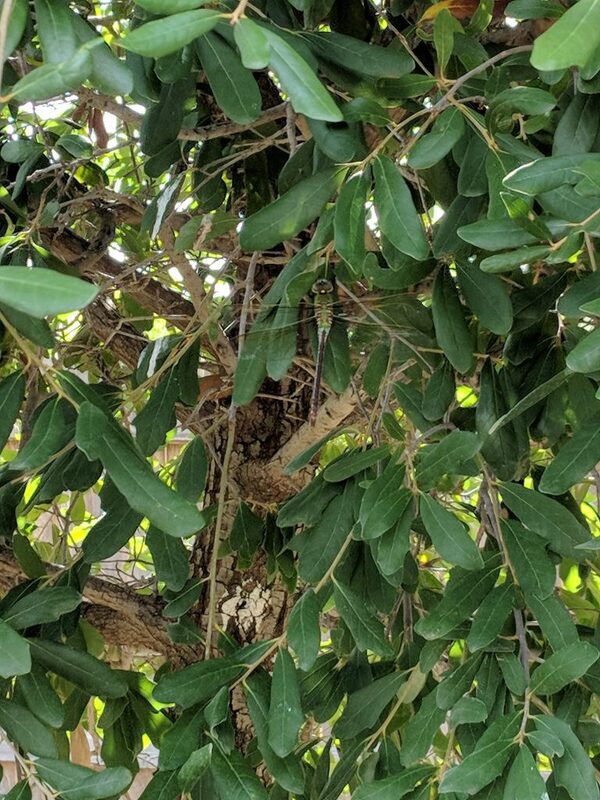 Can you spot the dragonfly?! 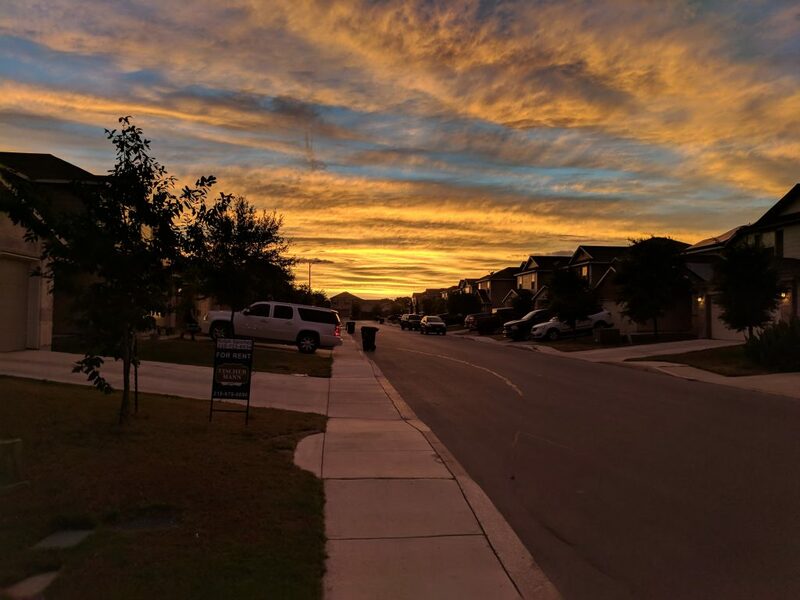 He also took this one. 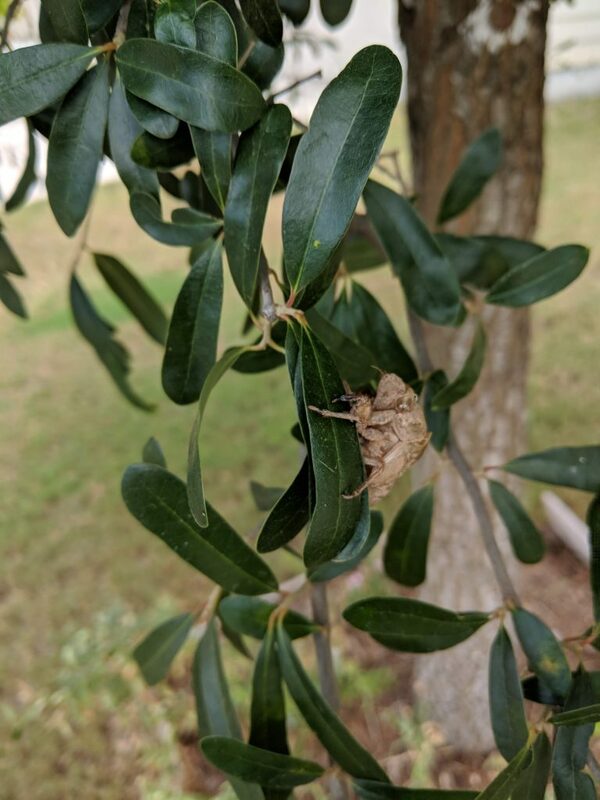 We hear the cicadas all the time. We don’t often see them, though! 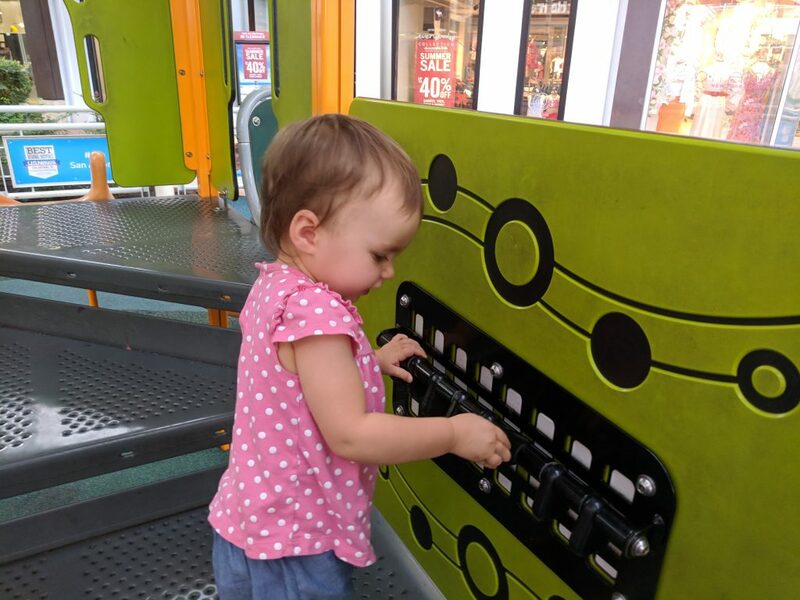 Playing tic-tac-toe with herself at the playground in La Cantera. She really liked spinning the tubes. There’s a bar with black things on it that lift up. When you drop one, it hits a piece of metal behind it and makes a sound (kind of like a xylophone). 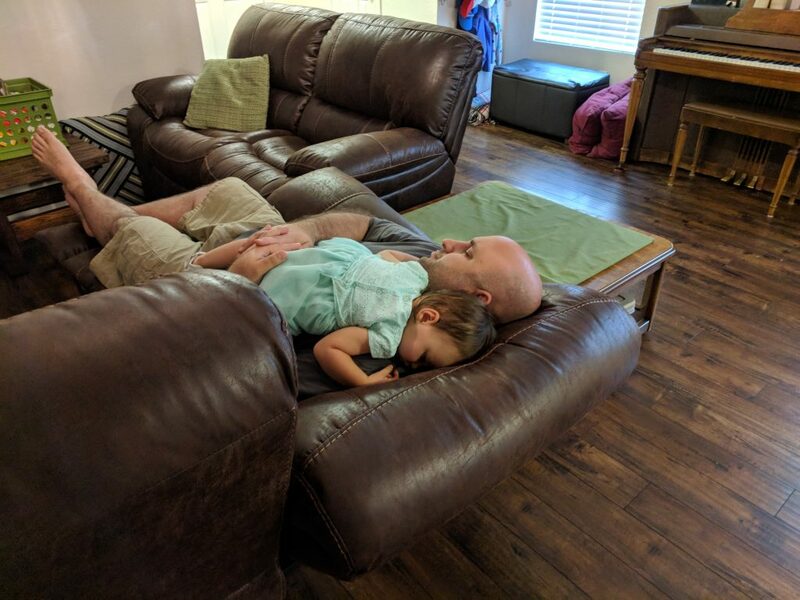 She spent a long time here. 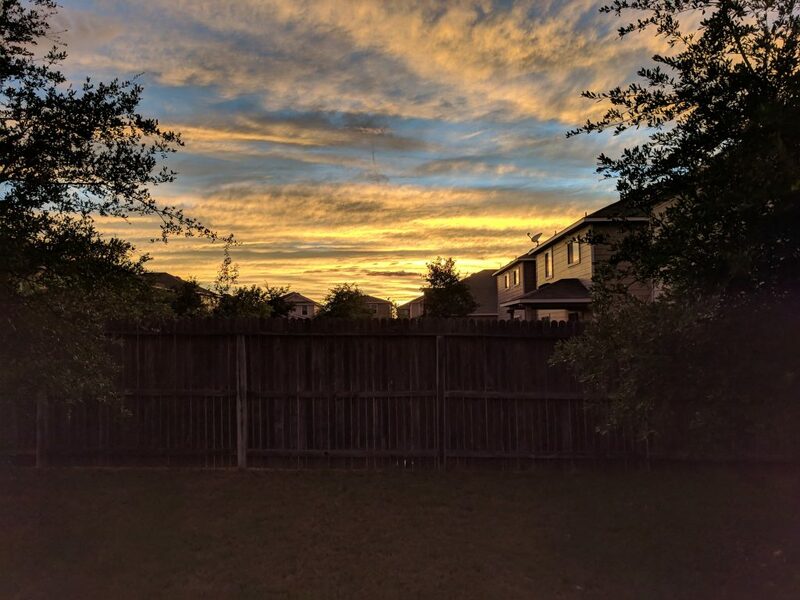 I love how the air even seemed to be tinged with pink, orange, blue, and purple. A proud boy holding his tooth.